Monblocks ( also known as a Uniblock , or wall mounted units ) are very versatile. 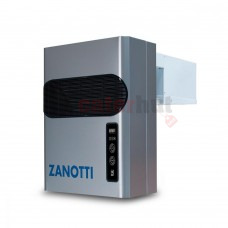 We search the internet regularly to ensure that we are offering the best possible prices. 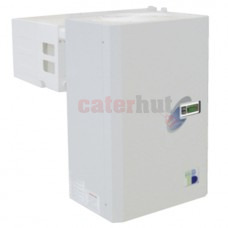 Please contact us on 0161 713 3085to discuss the best solution for you. Uniblock SB units featuring extremely versatile use. Ceiling assembly leaves the space inside the co..
Cubic Capacity 3.6 - 5.6 Dimensions: L460 D895 H640 Kg: 48.00 Supply: Electricity Volt: 230.. 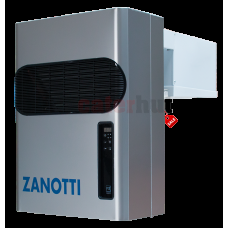 Please Note from April 2018 this model has been replaced with MGM105EA11XA with will comply with R13..
Zanotti Refrigeration Uniblock MGM11002F Chill 12m³ (240v) Average Delivery Timescale: 3- 4 Worki..
Zanotti Refrigeration Uniblock MGM21102F Chill 17m³ (240v) Average Delivery Timescale: 3- 4 Worki..
Zanotti Refrigeration Uniblock MGM21202F Chill 21m³ (400v) Average Delivery Timescale: 3- 4 Worki..
Zanotti Refrigeration Uniblock MGM21302F Chill 26m³ (400v) Average Delivery Timescale: 3- 4 Worki..
Zanotti Refrigeration Uniblock MGM31502F Chill 37m³ (400v)FROM APRIL 2018 - PRODUCT CODE CHANGED TO ..
Wall Mounted Refrigeration Unit Capacity 12m3 - 17m3A wall mounted unit ( also known as straddl..
Wall Mounted Refrigeration UnitA wall mounted unit ( also known as straddle units, uniblocks or mono..